Many Japanese castles have been known by a nickname. 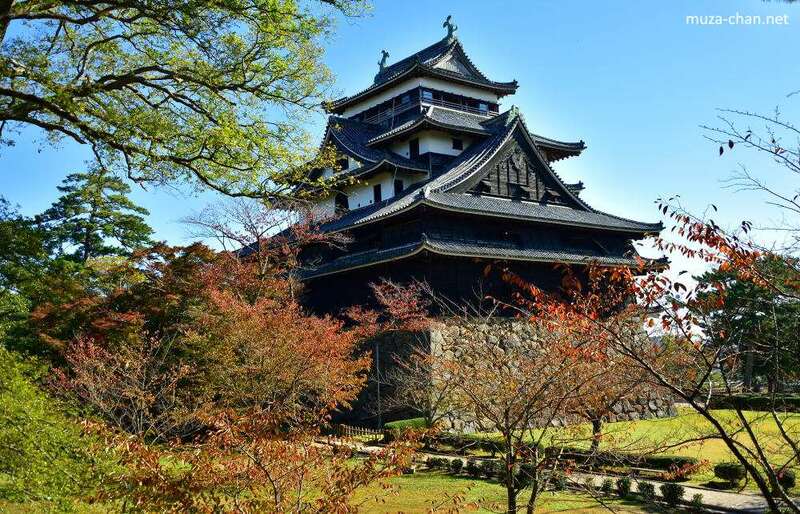 Because of its architecture, similar to a bird with open wings, the Matsue castle, one of the 12 surviving Japanese castles, was nicknamed Chidori-jō, the “Plover castle". The plover is a symbol of longevity in Japan because the bird’s cry onomatopoeia, chiyo, is a homonym for “chiyo” 千代, a word meaning “1000 generations". Therefore, the nickname was considered auspicious, appropriate for a building made to last centuries.